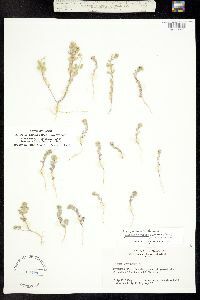 Locality: United States, Colorado, Jefferson, Gravel pit 3 mi. east of Golden. Habitat: Denuded ground of gravel pit. 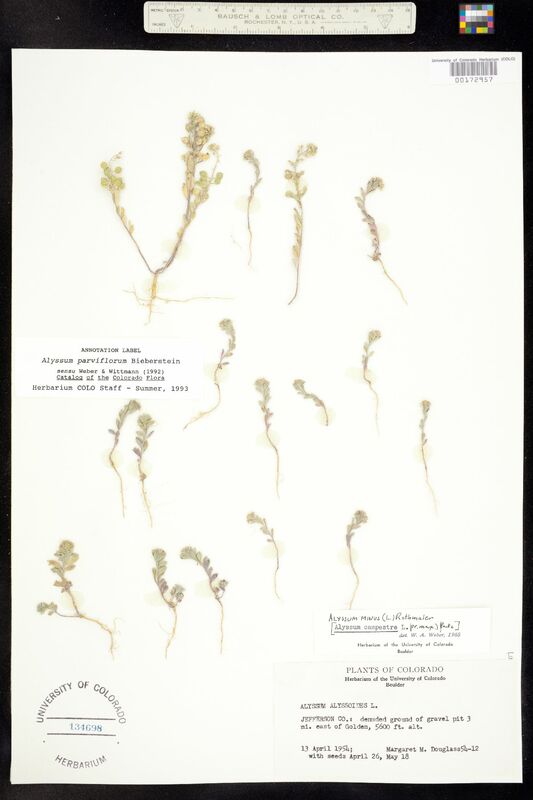 Occurrence Remarks: Alyssum minus (L.) Rothmaler [Alyssum campestre L. pr.max. ], det. by W.A.Weber, 1965. Originally ID as Alyssum alyssoides L. With seeds April 26, May 18.